Regular readiness testing is a useful way to indicate strengths and areas where training is needed across larger marketing teams. 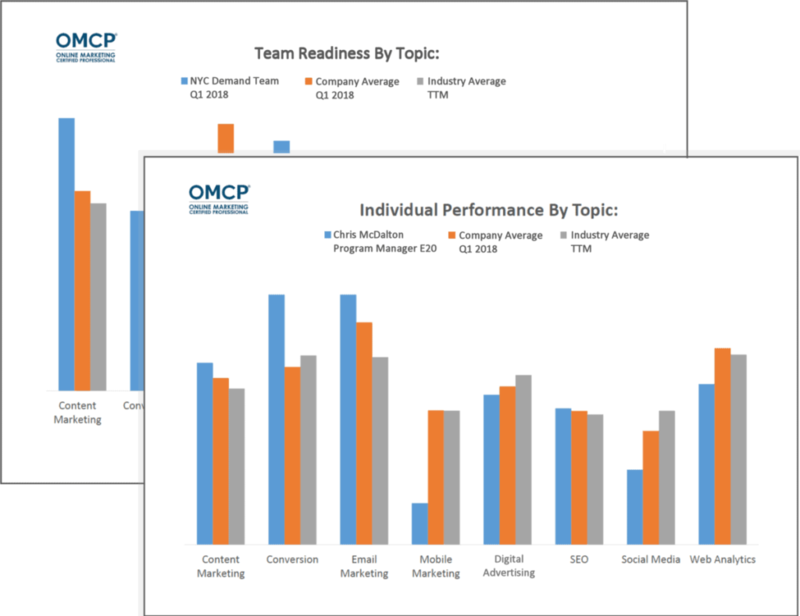 OMCP provides online marketing readiness assessments and skills verification reports that align with the OMCP and OMCA standards and map to hundreds of training programs that teach to OMCP industry-standard competencies. Skills mapping and verification is a great way to qualify job candidates during the interview process. With hundreds of colleges and institutes teaching to OMCP standards, assessment results can be used to map required training. Employee competency standards can be measured objectively and to industry standards with readiness testing. Candidates are presented with performance statistics upon completion–even for shorter practice assessments. If a staff member has passed the full OMCA Readiness Exam, this may be applied to OMCA certification. Employers increase the number of certified staff, and employees appreciate the benefit of industry certification resources. The shape and size of your team affects the delivery and reporting methods. OMCP provides volume discounts to the proctored exams and to batches of non-proctored practice assessments. For teams larger than 50, OMCP provides a non-proctored online instance of the OMCA exam. For teams over 200, OMCP provides department-level statistics. Some modification of exam testing is provided for larger teams as well. Have a live job posting? 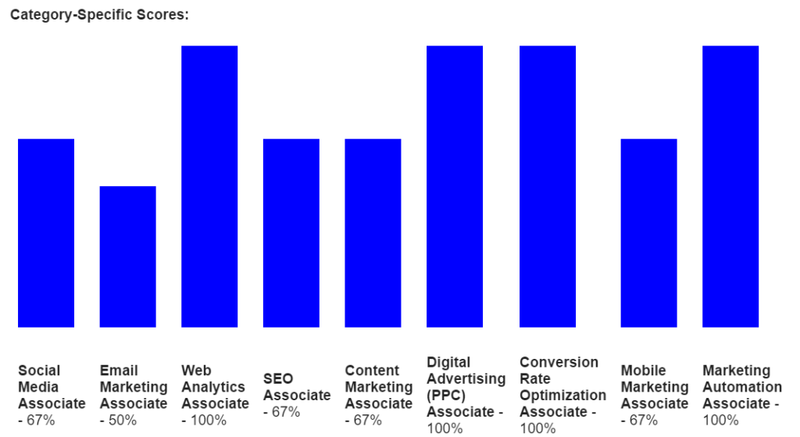 Need digital marketing skills verification? Team managers (qualified) will be sent some free exam vouchers as a courtesy.